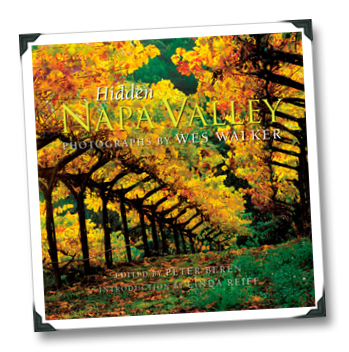 The first thing that you think (if you’re me, anyway) about the late Wes Walker’s Hidden Napa Valley ($19.95 from Welcome Books, I received an advanced sample copy of the newly updated edition) is how unexpectedly small it is. At 7 and 1/4 inches square, you almost want to greet it with a cliche; “Oh, I’m sorry, it’s just that… well, I expected you to be taller”). The second thing that you might think when seeing Hidden Napa Valley for the first time is that it’s just another book of beautiful photographs from the equally beautiful Napa Valley, the kind that tourists pick up from winery gift shops so they can take them home and later lament at how unbeautiful their hometowns are in comparison; another stone to hang around their heavy hearts as they sink into the miasmic depths of the discontent that only those who chase after the capitalist notion of the wine lifestyle can truly appreciate. 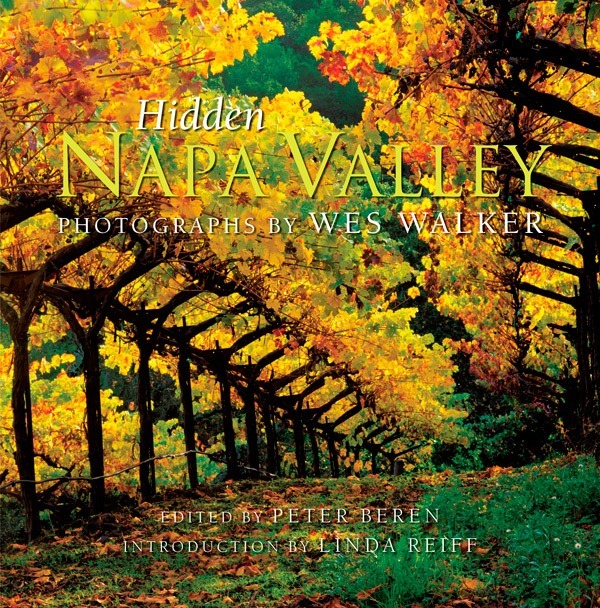 Writing off Hidden Napa Valley can only ever be a temporary mistake for anyone who really knows the Valley, however; once you flip through its gorgeous pages you will, eventually, come across a photo that speaks to you, as if Walker had somehow, without ever knowing you, captured a private moment – some time when you let your guard down, willingly got sucked into the gorgeousness of it all, and that you thought was only known by you and Napa. 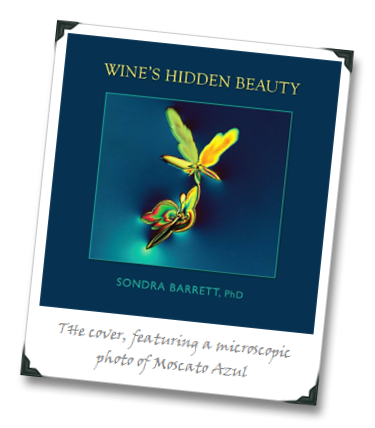 Sondra’s journey to wine seems spiraling and circuitous: Originally a researcher on human leukemias, she was asked to photograph a patient’s leukemia cells, which lead to her presenting slide shows of normal and abnormal cell comparisons at oncology clinics. After attending a photographic exhibit of chemicals of the brain, Sondra saw parallels in her leukemia work and, noticing an artistic quality in the brain chemical photos, decided to try similar photographic techniques on molecular structures in nature. 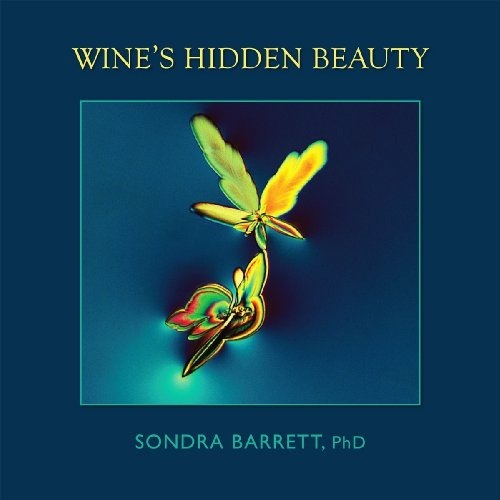 Sondra is now the author of a recently released collection of those photographs, titled Wine’s Hidden Beauty. 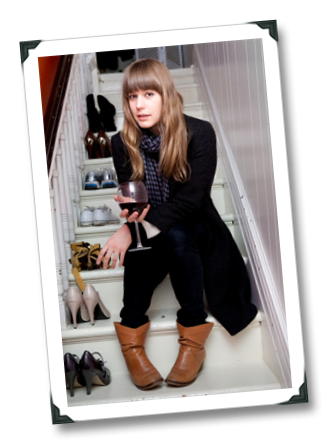 Reading Corked: A Memoir, you may find that you don’t much like author Kathryn Borel. And it will probably have nothing to do with her being a Canadian (sorry, Canada… just poking fun at you because you won all of those Olympic hockey gold medals…). She is, by her own fearless admission, not the best of traveling companions. 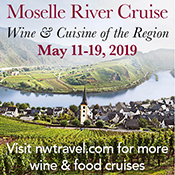 Neither is her father, with whom she travels to some of France’s most famous wine regions in an attempt to connect more deeply with him while they still have time together on this planet. 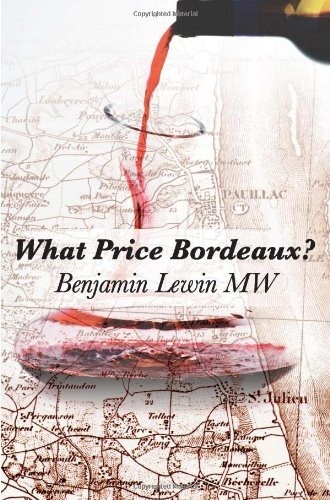 Even a healthy proportion of the storied French wine producers that the Borel clan visit in Corked are portrayed as, to put it mildly, difficult. Corked isn’t about wine appreciation, but it touches on the topic frequently and views it obliquely, as if through a funky, tilted lens; it circles the topic as if both wine and Kathryn were old cats in some new territory – familiar, but with a sense of fight-or-flight caution. 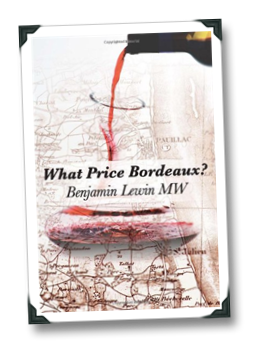 Let’s put it this way: Kathryn describes her new book (also her first) as being about “wine, France, my father, existential dread, and death.” So you know the viewpoint on wine is going to be different. As it turns out, wine plays a minor, but important, role in Kathryn’s sometimes hilarious, sometimes quirky, sometimes painful recounting of her journey through French wine country – at turns a vehicle for connectivity, and an insurmountable and intimidating barrier. And it’s exactly because of that unique viewpoint that I was so stoked to read Corked and to interview its author (if you need further convincing of Kathryn’s unique view on life, just check out how she introduces Corked on video, or visit her craftily quirky – or is that quirkily crafty? – blog). If Corked reveals a truth about the human condition, it’s that coming to a shared understanding as adults – to a place where we can truly appreciate one another – isn’t always as simple as sharing a glass of excellent vino; sometimes it takes a gut-wrenching rite of passage. That probably mirrors the relationship some of us have with wine at one point or another in our lives.